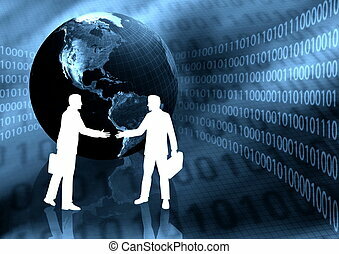 virtual business. 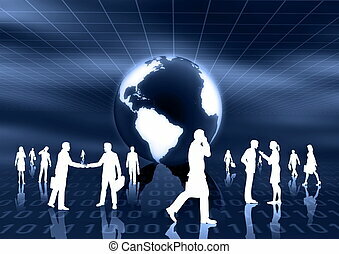 People doing business activity in virtual world. 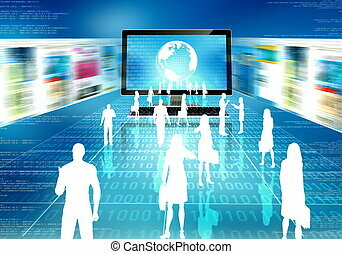 Internet businesman and woman doing their activity in virtual world. 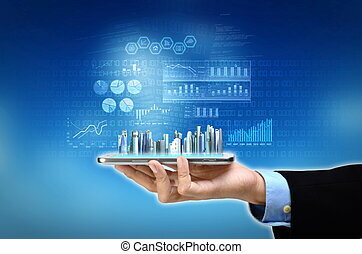 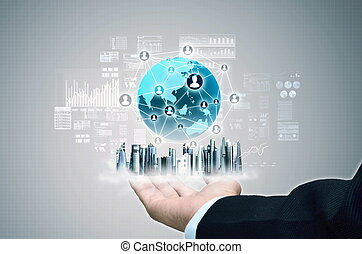 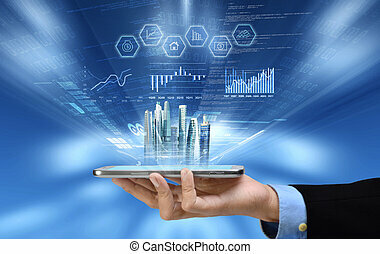 A businessman show a concept of city and virtual internet business network connection on his hand. 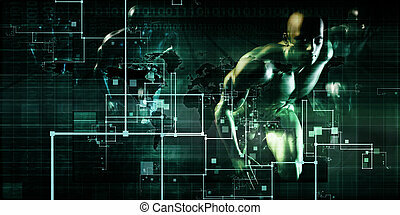 A mixed media composed from photo and 3d rendering. 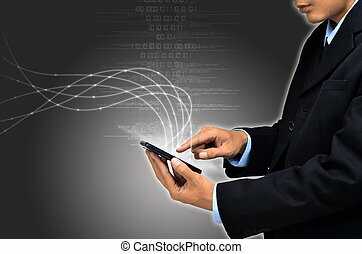 Businessman use his smart phone to work or acces the internet. 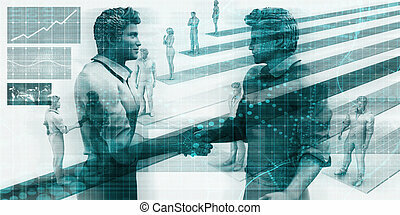 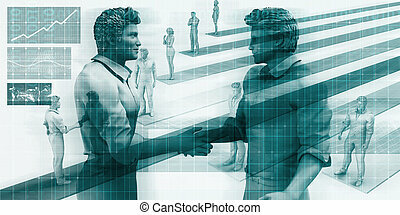 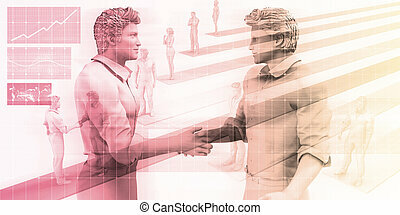 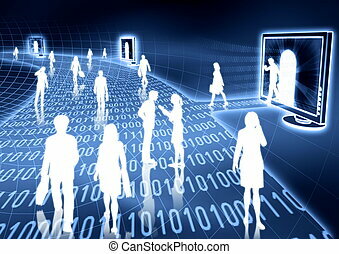 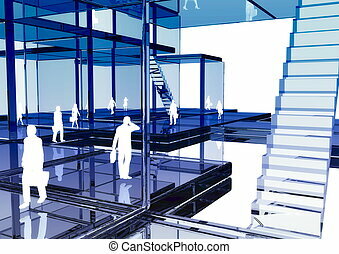 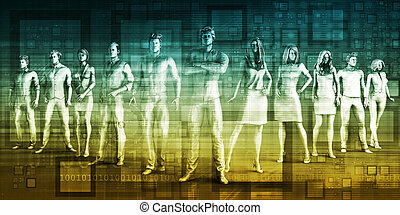 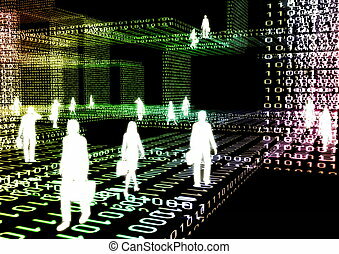 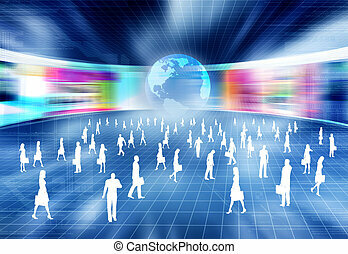 Virtual people doing business inside the virtual world of internet. 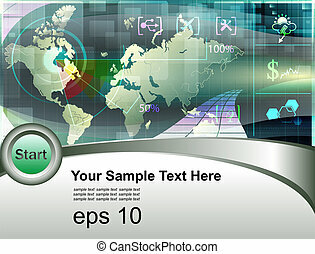 Illustrated with flashing website, and hitech elements of design. 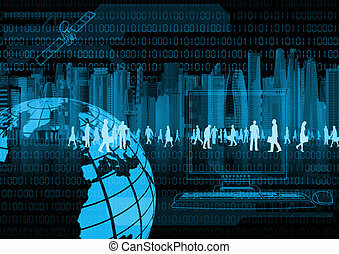 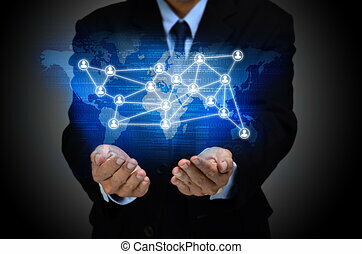 Internet for business conceptual image. 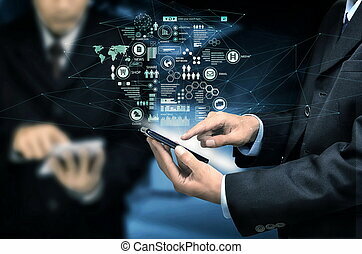 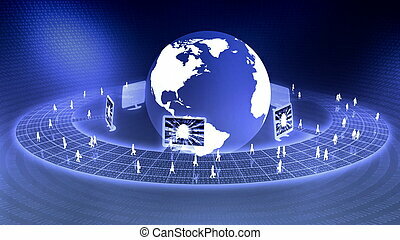 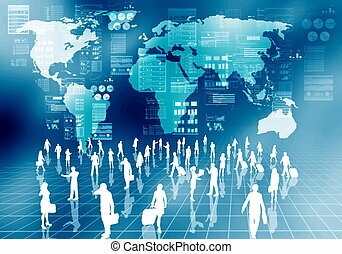 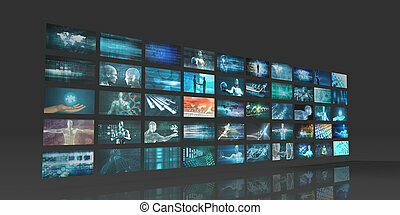 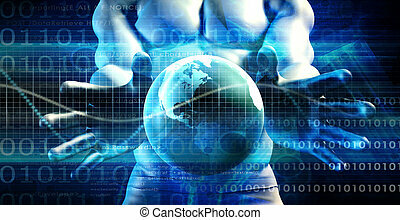 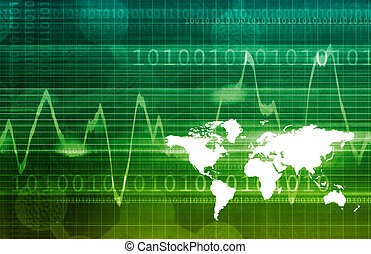 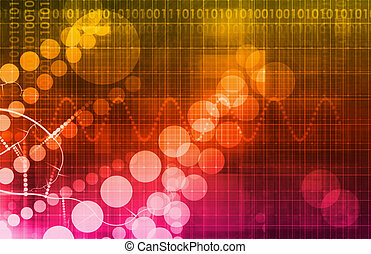 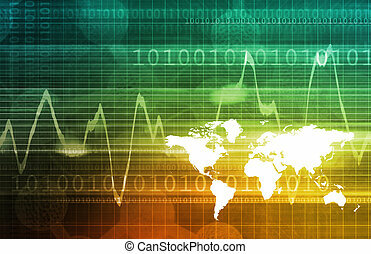 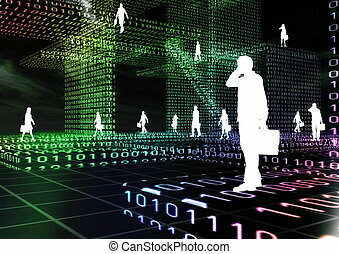 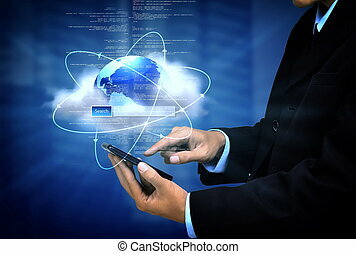 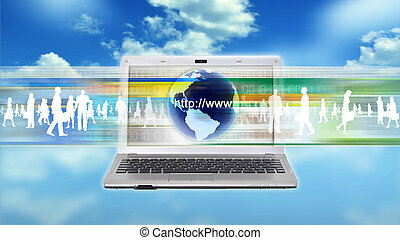 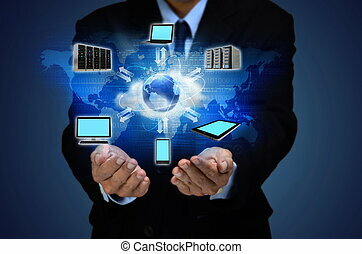 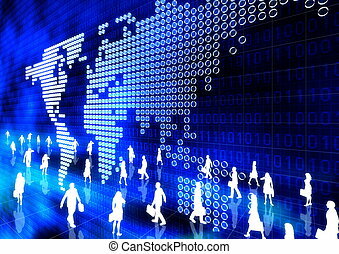 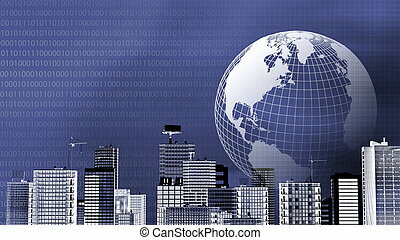 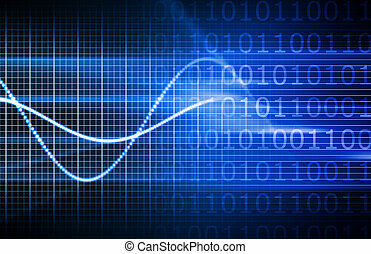 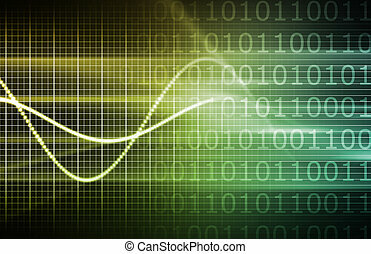 Businessman using internet information technology to communicate and access global information. 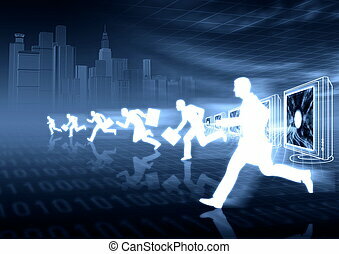 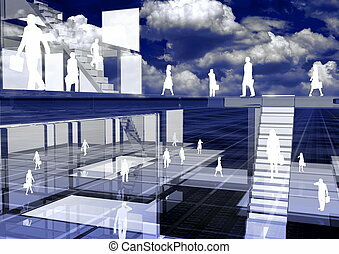 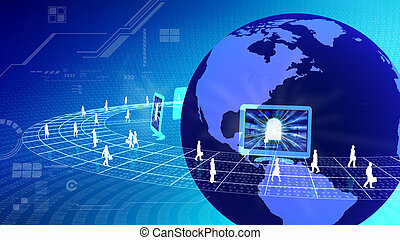 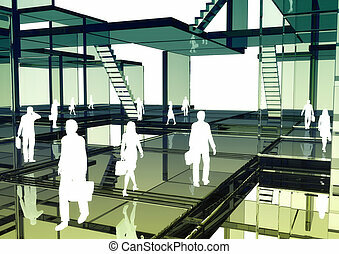 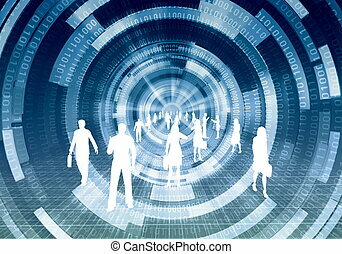 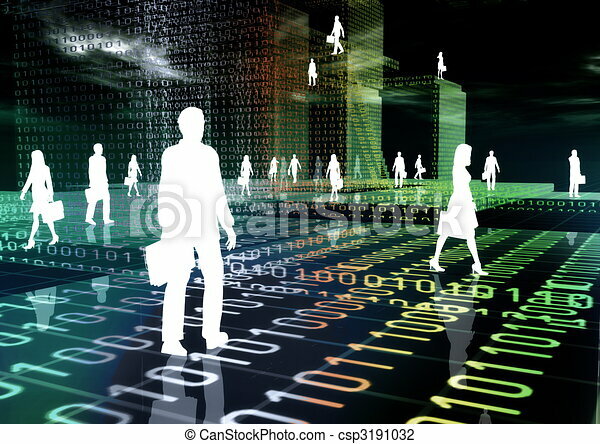 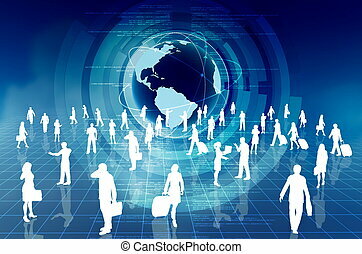 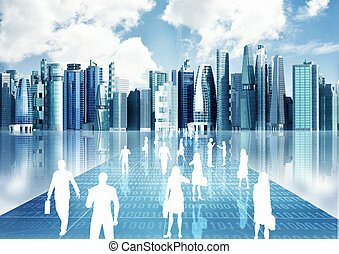 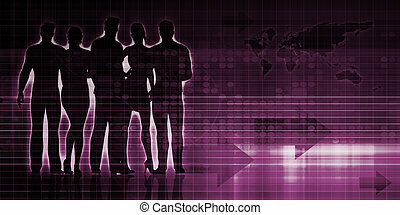 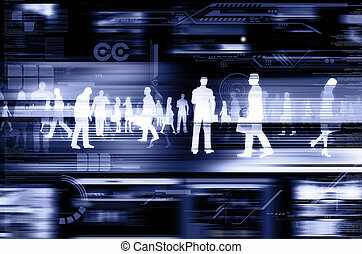 people doing business activity in virtual world of internet.